Full service movers can do an efficient job in an overall seamless process compared to a stressful DIY approach. 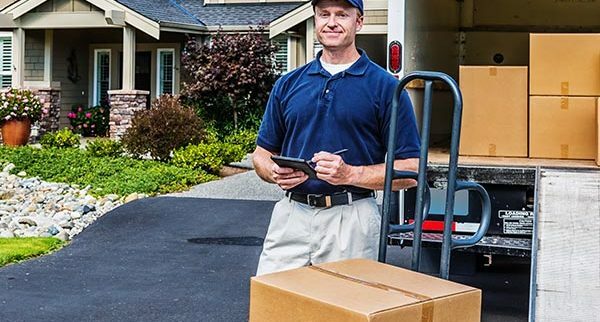 You can expect the pros to expertly handle everything, from boxing it all up, loading, transporting, to unloading and unpacking things at your new home. While you can actually do errands while our trustworthy staff get to work, it’s recommended that you personally oversee packing and moving through to the end. We’ve got the expertise, experience and resources, but having you around works to your advantage. Moving day typically starts with an introduction from the team sent by your chosen Bay Area moving and packing company. Do an initial walkthrough with the supervisor while the crew unloads packing supplies. It’s the best time to give specific instructions and let them know of particular concerns. -Keep pets out of the way. Ask a neighbor to look after your furry friends to prevent them from being stepped on or injured. -Keep children occupied. Consider hiring a babysitter or let kids play in a safe area since huge furniture and appliances will be hauled across rooms. -Stay in a nearby room. This way, you won’t be a distraction yet you remain close to answer any question your Bay Area movers may have. -Label personal belongings. Special items that must be given extra care and those that must be left untouched should be labeled beforehand. -Prepare snacks and refreshments. Burgers or sandwiches for lunch would be great, but a few energy bars and cool drinks will do to show appreciation for diligent and hardworking packers and movers. An inventory of all boxes and detailed items, with notes of any pre-existing damage, will be presented to you to sign. You’ll also be given a copy to safekeep for your records. With all the packing accomplished, feel free to leave and do more important things soon as they start loading the truck. You can simply return to your house when it’s all done. It won’t hurt to double check that your new address listed with the movers is correct. Your role in unpacking is the same when the Walnut Creek moving company staff was at your old house. You’d want to be close enough to direct everything in the right place, and in case the crew has something to ask. A bit of guidance as to where to put large pieces of furniture and boxes allows movers to work more efficiently, and you to stay organized at your new place. The name ‘Magic Moving & Storage’ is synonymous with quality, trust, and professionalism. For decades we’ve been moving individuals, families and businesses all over the Bay Area, California, the United States and the World! Let us tailor a custom local Bay Area moving, long distance moving or overseas moving plan just for YOU! Contact us online today or call (877) 246-2442 for a free movers quote. January 25, 2018 , Posted in Moving Day, Packing and Moving News & Tips, Residential Moving Recognition by movingadmin.